There is no question that Chardonnay is a popular white wine. Cheese lovers will be happy to know that Chardonnay often pairs really well with cheese. It's the combination of rich texture and high acidity that makes Chardonnay so cheese-friendly, with styles from fresh and fruity to oaky and buttery. As a general rule, try pairing bigger, oakier bottles with bolder cheeses like blues and washed rinds. Lean and fruity Chardonnay is usually best with cheeses that have buttery, nutty, and/or fruity notes. To get started with your Chardonnay and cheese pairing, look for these five kinds of cheese at your local cheese shop. Garrotxa (Ga-ro-cha) is a Spanish goat cheese. It's usually a big hit with people who claim not to like goat cheese, so don't worry about that issue. Aged a few months, this semi-firm cheese is buttery, earthy, and nutty. Chardonnay brings out the creaminess in Garrotxa and coaxes out even more of its buttery and nutty flavor. If you do love goat cheese, try pairing a lean, citrusy Chardonnay with fresh, creamy goat cheese. The buttery texture of Camembert is lovely with the creamy, soft texture of Chardonnay. French Camembert pairs well, as do versions made in the U.S. such as Nancy's Hudson Valley Camembert and Mt. Townsend Creamery's Cirrus. Shropshire is just one of many styles of blue cheese that pair well with Chardonnay. The fudgy texture and sweet, salty flavor can stand up to a big, buttery Chardonnay. Shropshire blue is easy to spot in a cheese shop. Simply look for the bright orange cheese with vibrant blue veins running through it. English Stilton and Harbourne Blue or Vermont-made Bayley Hazen Blue also pair well with Chardonnay. 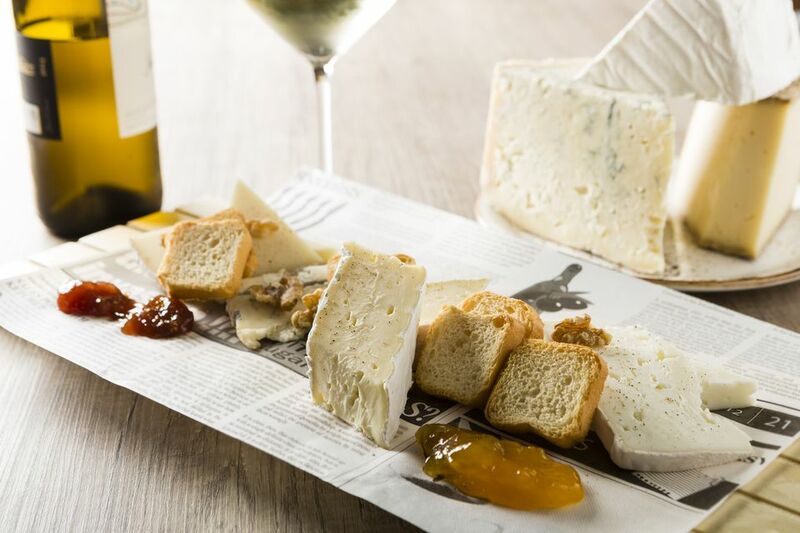 Fontina D'Aosta has a grassy and floral flavor that can be lovely with Chardonnay. A good Chardonnay can also bring out the nutty, fruity notes in a wedge of this cheese, so it's an interesting and worthy pairing. When shopping, be sure the label says Fontina D'Aosta, not just "Fontina." The latter is typically pasteurized, bland, and rubbery, and it may leave you disappointed. Here's a stinker that's not as over-the-top as some washed rind cheese have the potential to be. Tête de Moine is a raw cow's milk cheese from Switzerland with a semi-hard texture that should be sliced thinly so it melts in your mouth. 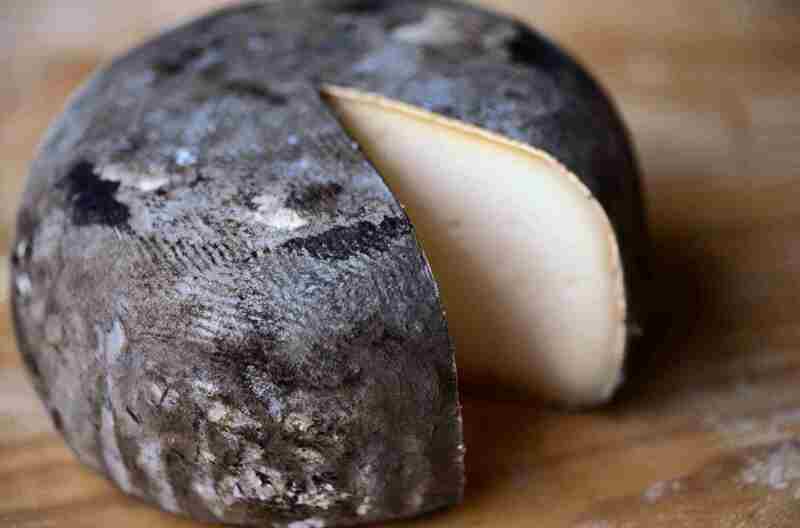 Tête de Moine is big and bold, but it also has a sweet, fruity side that goes down easy with a sip of Chardonnay. Try it with both light and fruity as well as big and buttery Chards. Have a bottle of big, bold Chardonnay but you aren't fond of stinky washed rind cheese? Then break out a wedge of sharp cheddar. English cheddar can pair especially well with an oaky Chardonnay.